Due to the 3rd Amendment to BS7671: 2008 Requirements for Electrical Installation (IEE Wiring Regulations, 17th Ed) new Consumer Units in homes and adjoining out-building are now manufactured from a non-combustible material, i.e. of metal construction. This does not mean they are ugly grey metal boxes; on the contrary, they are quite elegant and look very similar to the old plastic boxes they replace. There is also very little difference in the price between the old and the new. 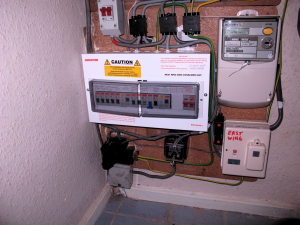 A new consumer unit job will take between one and a half to two day to install and test. Although power to appliances are only usually disrupted for half a day. An Electrical Installation Certificate is issued to the customer and as per building regulation Building Control are notified of the work. 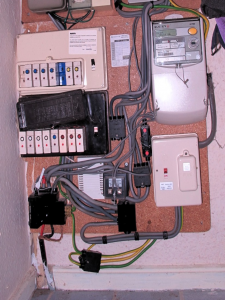 This image shows a fuse board before work commenced: incoming power and main 80A fuse (bottom left) and various power feeds to the main house fuse box (brown), the off-peak (white) and a supply feed to garage circuits (bottom right). 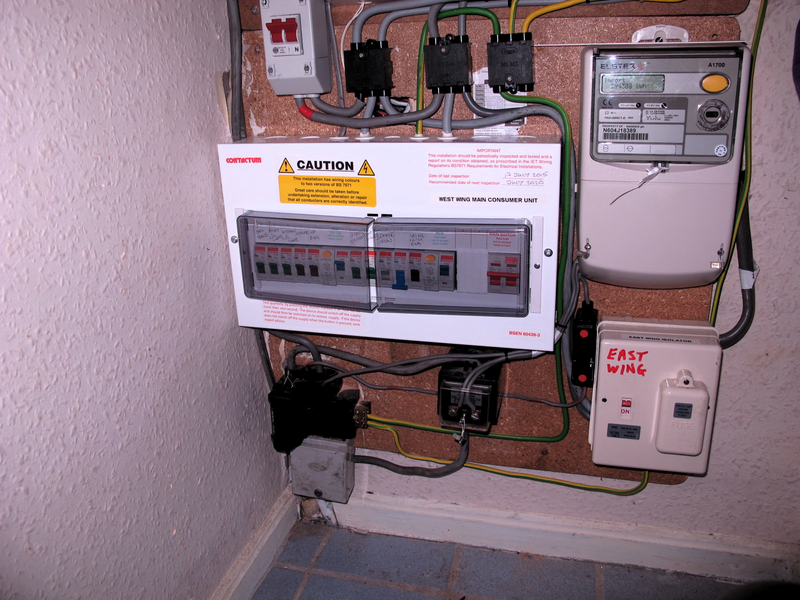 In this job the off-peak circuits were removed and the main fuse box was upgraded to conform to current regulations. The image opposite shows the new household Consumer Unit of metal construction – a British made Contactum unit that comes with a 25 year warranty. 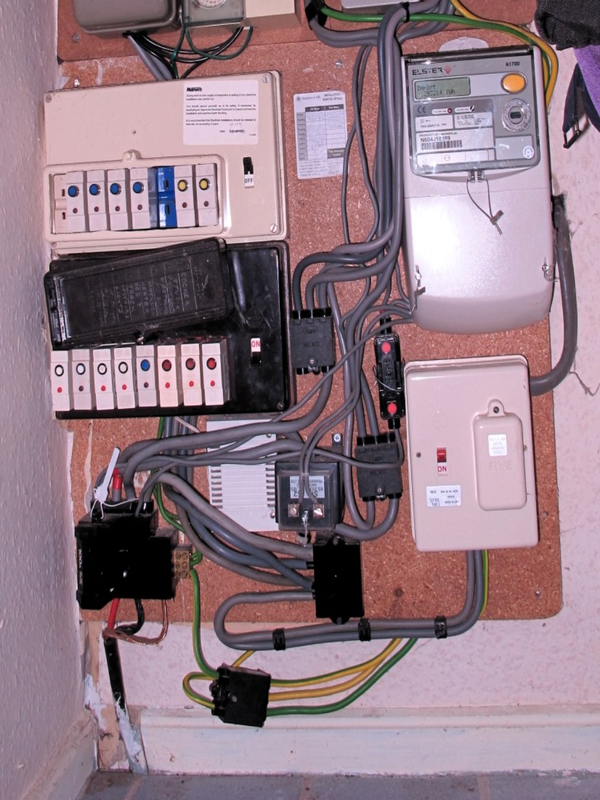 There is now also a supply isolation switch (top left) that Isolates all household circuits and boxes that feed them. This is fitted by the power supply company prior to the consumer unit being fitted.